Miller, grain merchant, MLA (1896-1899). Born at Tottenham, Ontario on 29 January 1856, son of Stephen and Margaret Rogers, he was educated at local public schools then took a commercial course at Pickering College. He came to Manitoba in 1889 where he worked as a miller and grain merchant at Carberry. After his mill was destroyed by fire, he opened one at Sidney then, due to ill health, he moved to Macgregor where he operated a real estate and insurance office. He served as a member of the Carberry school board. 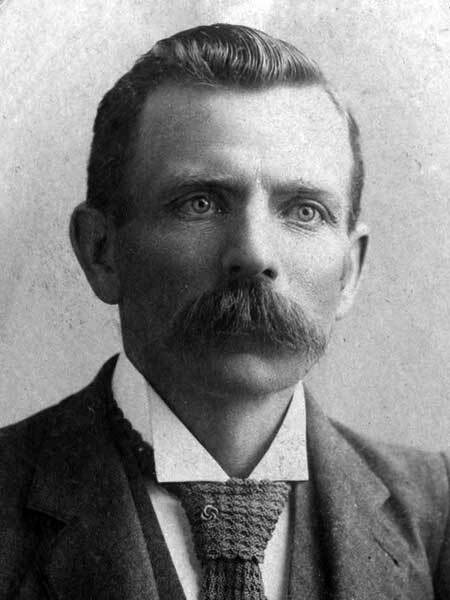 He was elected to the Manitoba Legislature at the 1896 general election, serving a single term. He was a member of the Society of Friends and Canadian Order of Foresters. On 6 March 1884, he married Margaret Adelaide Bride (1862-1932). They had three children: Harold Stephen Rogers (1886-? ), Ellen Bride Rogers (1887-? ), and Georgina Dale Rogers (1898-?). He died in the Winnipeg General Hospital on 11 August 1901 and was buried in the Macgregor Cemetery. Biographical profile, Manitoba Free Press, 16 March 1899, page 12. Obituary, Macgregor Herald, 15 August 1901, page 1. “Mrs. George Rogers, early Macgregor resident, dies,” Winnipeg Free Press, 29 August 1932, page 3.